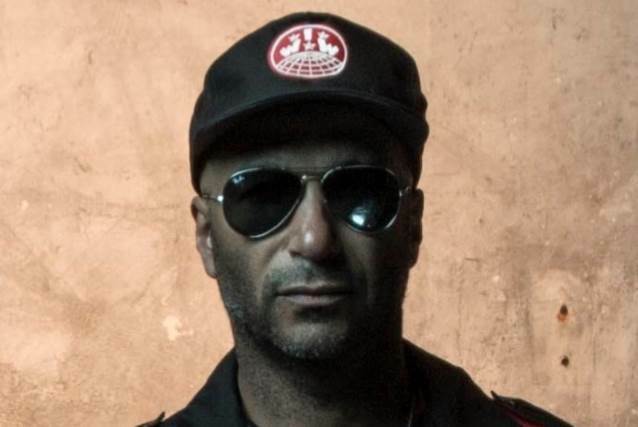 Tom Morello discussed his upcoming solo album, "The Atlas Underground", during an appearance on METALLICA drummer Lars Ulrich's Beats 1 radio show "It's Electric!" You can watch video footage of the chat below. The RAGE AGAINST THE MACHINE, AUDIOSLAVE and PROPHETS OF RAGE guitarist recruited a number of guest artists to appear on the 12-track LP, including GZA, Gary Clark Jr., K. Flay, Pretty Lights, Portugal. The Man, Whethan, Marcus Mumford, RISE AGAINST's Tim McIlrath, Carl Restivo, Nico Stadi, Leikeli47 and Herobust. Morello told Ulrich about "The Atlas Underground": "I wanted to make a record that was the [Jimi] Hendrix of now, guitar playing that is outside of the norm and is extraordinary," creating "radio songs" that "connected with a mass audience" and fashioning a "new genre of music." "The Atlas Underground" is due out October 12 through Mom + Pop Music. In a statement announcing the album, Morello said: "The riffs and the beats led the way, but the extraordinary talents of the collaborators set my creativity into uncharted territory. "I've been devoted both musically and as an activist to fighting injustice at every turn," he added. "Amid this heightened sense of impending doom, it's now time to rally the troops in a last-ditch effort to save the planet, and our artistic souls. By challenging the boundaries of what music is and has sounded like before, you can open people's eyes to changing the status quo in society." To tease "The Atlas Underground", Morello has shared a pair of new songs: "We Don't Need You" (featuring Vic Mensa) and the Knife Party-assisted "Battle Sirens".